In her interview for Swedish daily newspaper Dagens Nyheter, Wallstrom voiced concerns over Washington's and Moscow's suspension of participation in the Intermediate-Range Nuclear Forces (INF) Treaty. "Our mechanisms for control and problem-solving have weakened […] We would like to hold talks in Sweden, while the first meeting will be held in Germany in spring. We see big interest, and this raises hope", Wallstrom said, voicing the belief that not only those countries that have nuclear weapons should participate in disarmament talks, as quoted by the Dagens Nyheter. The minister added that she had no concerns over Russia's alleged military threat. "We see no significant threat of intervention", she specified. 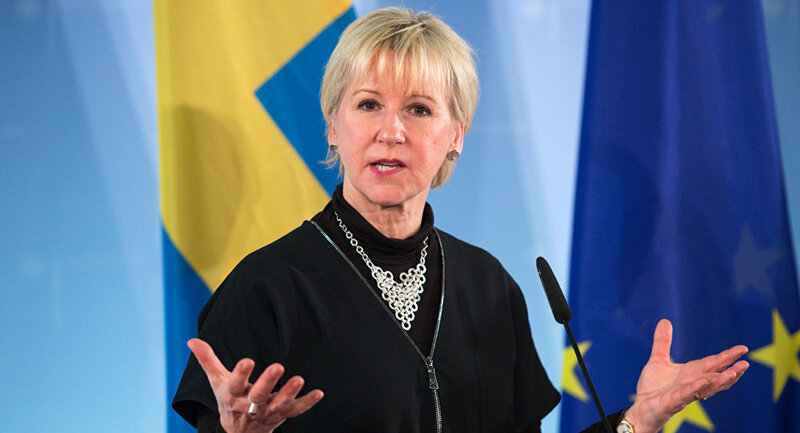 However, there are some "more efficient ways to intervene", Wallstrom added, stressing that she did not rule out that Russia could interfere in the operation of the Swedish national electricity grid. Her comment came just several days after the head of Svenska Kraftnat, Swedish state-owned power grid operator, was fired over alleged security breaches. An arms control conference will be held in the German capital of Berlin in March. It was initiated in the wake of deteriorating situation around the INF Treaty. In early February, the United States said it was suspending its obligations under the 1987 INF Treaty and would start the withdrawal process, which would be completed within six months unless Moscow remedied its alleged violations of the bilateral arms control deal. Russian President Vladimir Putin announced promptly that Moscow also suspended its obligations under the treaty in response to the US move.